like a restaurant without a kitchen!" 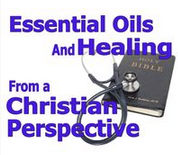 The need for christian spiritual healing of chronic illness is huge in the Body of Christ. According to the World Christian Encyclopedia, approximately 16 million believers walk out of the Christian church each year and most do not return. 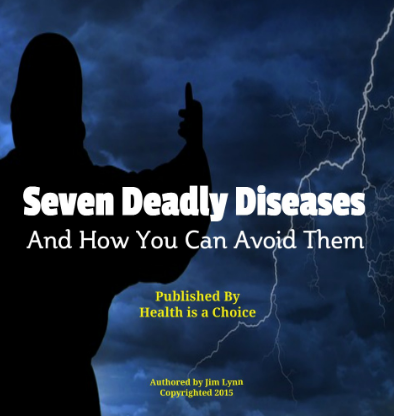 Chronic disease and disillusionment is at an all time high among believers. 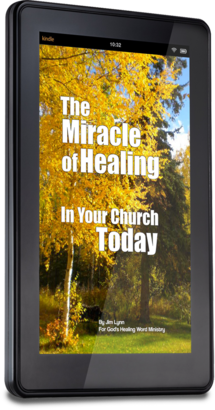 Each day, thousands of believers find a wide gap between what they are taught in church about divine healing and what they read in God's Holy Word. Many of these people walk away from their Church and Christian faith hurt and wounded, instead of loved and healed. 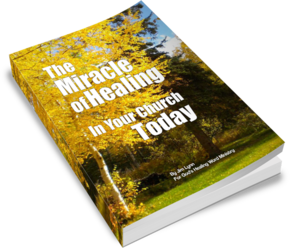 The Miracle of Healing in Your Church Today offers a whole new way of thinking for many who are accustomed to "churchianity" - relying on the religious institution, rather than on a living, loving relationship with God. This study affirms spiritual healing is eternally God's domain and will, made possible through the Gospel of Jesus Christ. Readers will learn why the vast majority of chronic illness is spiritually rooted, and can only be healed spiritually through faith by the "Great Physician." 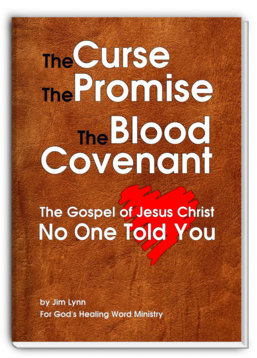 "This ebook offers a long-needed explanation of divine healing, and calls for the restoration of the Christian healing ministry," says author, Jim Lynn. 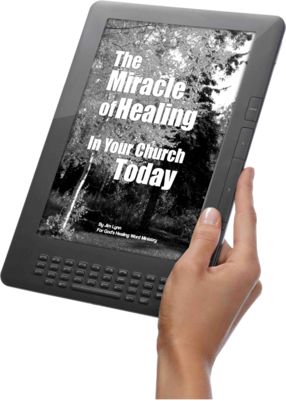 The author does not question the legitimacy of modern medicine, but questions why many churches today have severed divine healing from their divine calling. Critical at times, the author condemns secular medicine that harms or even kills in the name of healing. "Medicine that harms is of evil. Medicine that heals is of God and never harms," says Lynn. "In God's medicine chest there is no such thing as 'acceptable risk,' only healing." Why so many Christians suffer with chronic illness. Why so few who pray for healing are healed. all inclusive of healing our body, spirit and soul. The biblical foundation and model for healing ministries today. How pharmaceutical drugs affect us spiritually. Why it is important to seek out physicians who honor God as our Healer and who respect their patients in body, spirit and soul. Twelve-Week Lesson Plan: The PDF Version ONLY of this book includes a twelve-week lesson plan, perfect for small group studies and Bible class curriculums. Each lesson includes knowledge questions to re-enforce learning, and group discussion questions to generate feedback. Best of all, each Lesson is configured to print formatted full-size pages. Buy it Here! Requires Windows Operating System/Internet Explorer 5.5 +. Ebook is Downloaded as a pdf file. Plus you have my personal guarantee this book is Bible-based, non-denominational, and fully referenced. You'll find many footnotes thoughout the study. P.S. 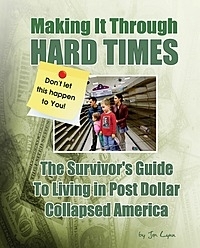 The 300 page paper-back verison of this book is available at online bookstores, or from the publisher. The paper-back version does NOT include the twelve-week small group Bible study, nor the 56 day guarantee.